Light weight, large lens, scratch resistant. Reflector on rear for extra safety. Fits most handlebars, mountain bike and road bike. Optical grade convex glass provides broad and clear Vision. Mirror angle adjustable freely by swivel design. Come with adapters for easy fitment. Simple & easy to install. 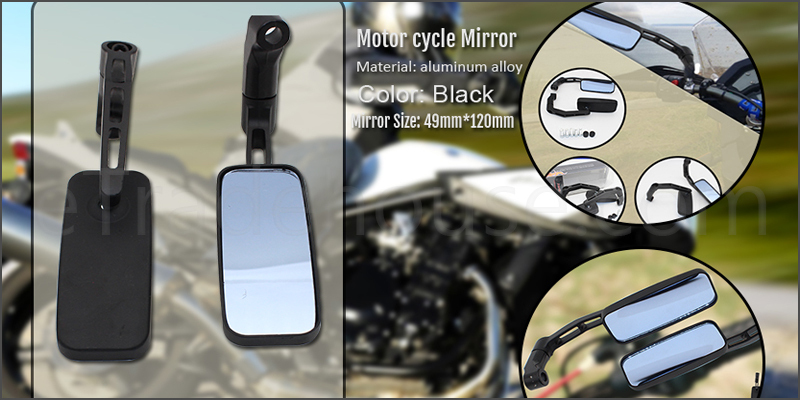 1x Adjustable Rectangle Motor cycle Mirror.